Metallica today announced that their groundbreaking 3D feature film, Metallica Through The Never, directed by award-winning filmmaker Nimród Antal, will be released on DVD, Blu-ray, 3D Blu-ray, digitally, and V.O.D. (Video On Demand) on January 28, 2014 through Blackened Recordings. Formats will include a standard 2-disc package on DVD, Blu-ray, or 3D Blu-ray, as well as special expanded versions. The DVDs and Blu-ray, 3D Blu-ray will include extensive behind-the-scenes footage from the making of the film, including an 80+ minute “Making Of ‘Metallica Through The Never‘” documentary, various interviews with the cast and crew and never before seen Metallica content. Metallica fans will also be able to purchase a limited-edition deluxe package containing a piece of the actual stage used in the film, a lithograph print autographed by all four band members and more. Full details of the package are below. The digital format will include the feature film, as well as the “Making Of ‘Metallica Through The Never‘” documentary. For more information on each DVD format, see below or visit www.metallica.com. The film will also be available for rental and download via V.O.D. on January 28 in the U.S., and at a later date (tbd) in Canada. International territories will release the film on DVD/VOD and digital platforms day and date with the US or very shortly thereafter. Please go to metallica.com for information regarding specific countries and release dates. Picturehouse released Metallica Through the Never in North America on September 27, 2013. The film stars Metallica, one of the most popular, influential rock bands in history. In the music-driven, 3D motion picture event, filmmaker Nimród Antal immerses audiences in a bracing, raw and visceral cinematic experience with spectacular live performance footage of Metallica’s most iconic songs — created exclusively for film — combined with a bold, narrative story featuring imagery drawn from the band’s trailblazing iconography. 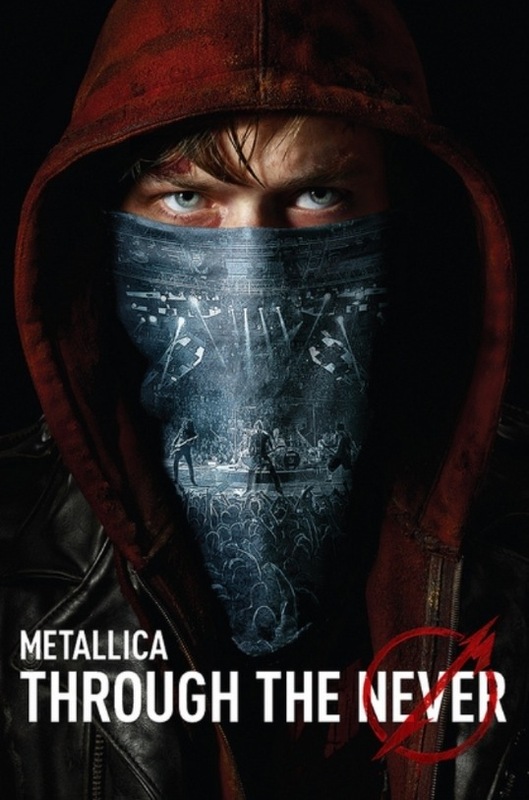 Dane DeHaan portrays Trip, a young roadie sent on an urgent mission, during the Metallica’s roaring live set in front of a sold-out arena. The film features dazzling pyrotechnics, the most elaborate live-performance stage ever built, state-of-the-art 3D photography captured on up to 24 cameras simultaneously and pioneering and innovative sound mixing utilizing a celebrated and award-winning audio team from both the film and music worlds. Metallica Through The Never was the first feature film to be released exclusively by IMAX in all of its theaters in North America.